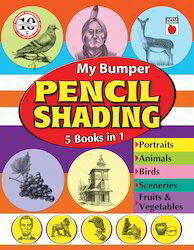 Leading Exporter of pencil shading animals book, pencil shading birds books, pencil shading fruits vegetables books, pencil shading sceneries and bumper pencil shading from Chennai. 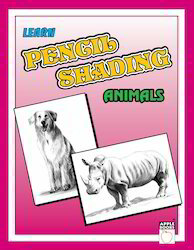 Pencil Shading Animals book offeredcomprise innovative pencil shading books that are available in 32 page softbound finish and aids students in learning the fine art of shading through strokes. Being simple to use and understand, the books offer an element of surprise to the young learners while they engage themselves in a delightful world of self-play. Being fun to work with, these books come in high printable quality that makes it exciting option to use. 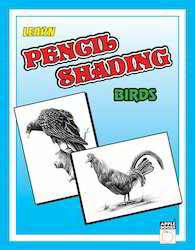 Pencil Shading Birds book offered comprise 32 page pencil shading books that come in softbound finish and offer a simple to use interface that makes shading a fun activity. Coming in high printable quality, these books are based on interactive learning approach and are best tool for engaging child's interest in craft activity. Being suitable for personal, school teaching needs, the books also act as a wonderful tool for developing fine motor skills of children. 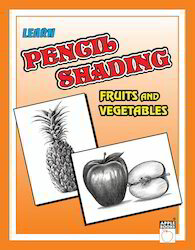 Pencil Shading Fruits Vegetables book offeredcomprise pencil shading books that are available in 32 page softbound finish and help children learn the finer art of shading through use of strokes. Based on interactive learning approach, the book pages are based on variety of themes that children can shade. Providing a strong foundation for kid's early learning needs, the book comes with options of shading interesting shapes like animals, insects, reptiles and others that hel them to learn the shading art. 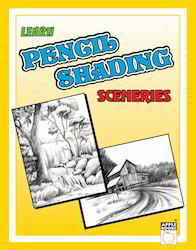 Looking for Pencil Shading Books ?